A one day professional development conference for teachers of Economics, Business Studies, Legal Studies and Commerce in NSW and from Australian International Schools overseas. The keynote speaker was Ms Katerina Kimmorely, Co-Founder of Pollinate Energy. The conference program included a variety of workshops on topics including 2017 NESA HSC examination feedback, effective teaching and learning strategies, and content areas such as current economic conditions in the Australian economy. Over 160 participants attended. A number of exhibitors were on-site to showcase new education resources. 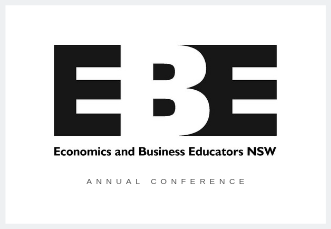 NCS was also the conference manager of the EBE NSW 2017 Annual Conference.